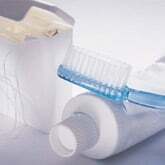 DentalPlans.com offers you an easy, convenient way to save money on General Dentistry and more at a Troutdale dentist. Simply type in your ZIP code to save money on General Dentistry with an easy-to-use discount dental plan. Pick the best discount dental plan for you and your family to save 10% to 60% on your dental care bills at dentists such as Dr. Jenny J Lu. After signing up to the right discount dental plan, visit Dr. Jenny J Lu or any other participating Troutdale dentist to get discounts on General Dentistry and more. At DentalPlans.com, our discount dental plans start at only $79.95 per year and offer great discounts on General Dentistry and other dental care treatments. Our national dentist directory has more than 100,000 participating dentist listings in combined networks, including many general dentists, orthodontists, periodontists, oral surgeons, and more. So if you need to see a dentist or specialist about a teeth cleaning, fillings, root canal, dental crown, braces, or even dentures, our comprehensive dentist directory is an ideal place to find affordable dental care specialists and dentists in Troutdale, OR.